Choosing a dentist is one of the most important decisions young parents can make. 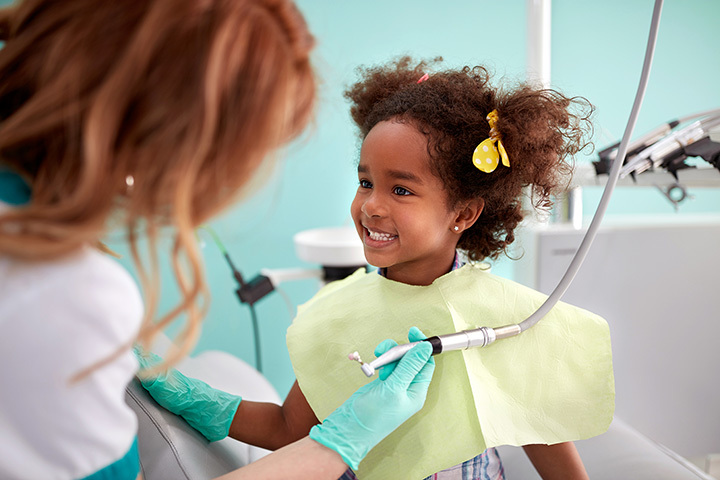 Depending on the atmosphere, personality, and expertise of the practitioner, your child can either have a pleasant experience, or develop an early fear of teeth cleanings. We’ve curated the following top 10 kid-friendly dentists in Texas below to help you out! Voted the “Best Pediatric Dentist in McKinney” for several years now, Texas Pediatric Dentistry is to the go-to spot to make your child’s experience easy. With an open, relaxed environment, calming photos on the walls, and a special focus on your child’s unique needs, nothing beats this dental practice. Central Park Pediatric Dentistry in Austin, Texas, has a comfortable office with iPads, toys, and TVs above every dental chair. The practice is family owned and operated and is geared towards making parents and children comfortable. Wildey Pediatric Dentistry in San Antonio, Texas, has a simple, child-friendly environment. They service infants, children, teens, and children with special needs with an aim toward preventative care. They were recognized in 2016 as a Patient’s Choice Winner. Just Kids Dental has many colorful and fun, floor-to-ceiling decorations. Their zoo theme is invited and will have your kids asking to come back for a cleaning soon. They also happen to provide excellent care, which is always a plus. Tide Dental provides “the highest quality dental care in a family-based, high-technology practice.” They always have the latest technology and technical know-how to help your kids achieve perfect teeth. Fort Worth Children’s Dentistry was awarded the 2017 Top Pediatric Dentists in Fort Worth by Texas Magazine, and is rated “Mom Approved” by DFW Child Magazine. They specialize in treating infants, children, and those with special needs. The Croc Doc in El Paso, Texas, focuses on alleviating anxiety regarding dental procedures by focusing on comfort. They specialize in pediatric dentistry, sedation, and special needs dentistry. Today’s Dentistry has locations in League City and Galveston, Texas. They offer cosmetic dentistry, implant, dentures, sedation, and general dentistry. The doctors have over 30 years of experience to put you at ease. Awesome checkup! She is the master brusher!! Dr. David Caldwell in Beaumont, Texas, provides dental services for the entire family. They treat patients of all ages from infants to seniors. If you’re looking for a dentist who can get to know the entire family, look no further than Dr. Caldwell. Arlington Pediatric Dentistry focuses on serving children with a fun and inviting atmosphere. Their website is full of incredible dental advice for all kinds of situations. Stop in and see Dr. Jennifer Ketchel today.